Lemass retired in 1966 and was succeeded by Jack Lynch. Not long after becoming Taoiseach, Lynch had to deal with the increasing violence in Northern Ireland as the Troubles broke out. He also wanted to continue Lemass' work and bring Ireland into the European Economic Community, which he did in 1973. Later that year, Lynch and Fianna Fáil lost an election to Fine Gael and Labour, and W.T. 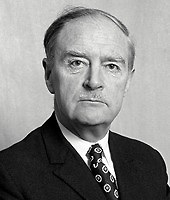 Cosgrave's son Liam Cosgrave became Taoiseach. With the crisis in the North still going on, Cosgrave negotiated an agreement between his government, the Northern Irish government and the British government in an attempt to solve the problems there, but that agreement broke down a year later. He also had an economic crisis to manage, and he lost the next election in 1977, when Jack Lynch and Fianna Fáil returned to government. Two years later, Lynch stepped down and was replaced by Charles Haughey. At the start of the 1980s, three general elections happened very quickly after each other. The first was won by Fine Gael with Garret FitzGerald, the second one was won by Haughey, and the third one put FitzGerald back as Taoiseach. He worked on a second agreement between Ireland and Britain to solve the problems in the North, called the Anglo-Irish Agreement, and it is here that the modern Ireland section ends. Nothing after 1985 is on the Junior Cert course, but if you're interested to read about Ireland since 1985 you can do so through that link. Jack Lynch: Arms Crisis, Irish entry to the EEC. Liam Cosgrave: Oil crisis, Sunningdale Agreement. Garret FitzGerald: New Ireland Forum, Anglo-Irish Agreement. Click the link for the "named political leader in Ireland" People in History question. You might remember Enda Kenny giving a message to the nation on TV about the economy. Other Taoisigh have given such messages in the past. The first was by Jack Lynch in 1969 as the full horrors of the Troubles in Northern Ireland were being made known. 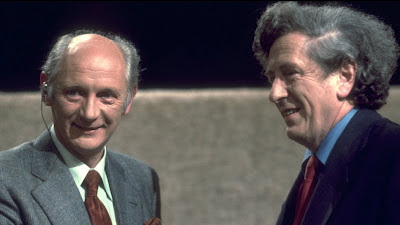 Jack Lynch died in 1999. Here, RTÉ News has a brief overview of his life. The Fianna Fáil website has its own biography of Lynch. Remember what to be careful of on a group's own website. The Irish Times give an overview of the Arms Crisis and Charles Haughey's involvement with it. The BBC explains what was hoped for by the Sunningdale Agreement. This site gives an overview of what the Sunningdale Agreement was. The Fine Gael-aligned Collins 22 society has a biography of Liam Cosgrave, who is currently the oldest living former Taoiseach at 92 years of age. Beware of bias. Besides his involvement with the Arms Crisis, you don't learn a lot about Haughey in 3rd year because he was Taoiseach for only two years before 1985. He was Taoiseach again, however, from 1987 to 1992. Read the Fianna Fáil biography of him here. Beware of bias. The Fine Gael group's website also has a biography of FitzGerald, who died last year aged 85. Beware of bias. The RTÉ's video obituary to Garret FitzGerald, detailing his career. Read about that agreement here.